You finally made it, so proudly display your favorite graduation photo in our Personalized Graduation Engraved Frame. An Engraved Graduation Frames make special personalized graduation gifts for all your friends on their big day. Each Personalized Graduation Picture Frame comes in three sizes, please choose from, 4"x6, 5"x7" and 8"x10". Easel back allows for desk display or can be wall hung. Graduation photo frame includes FREE personalization! 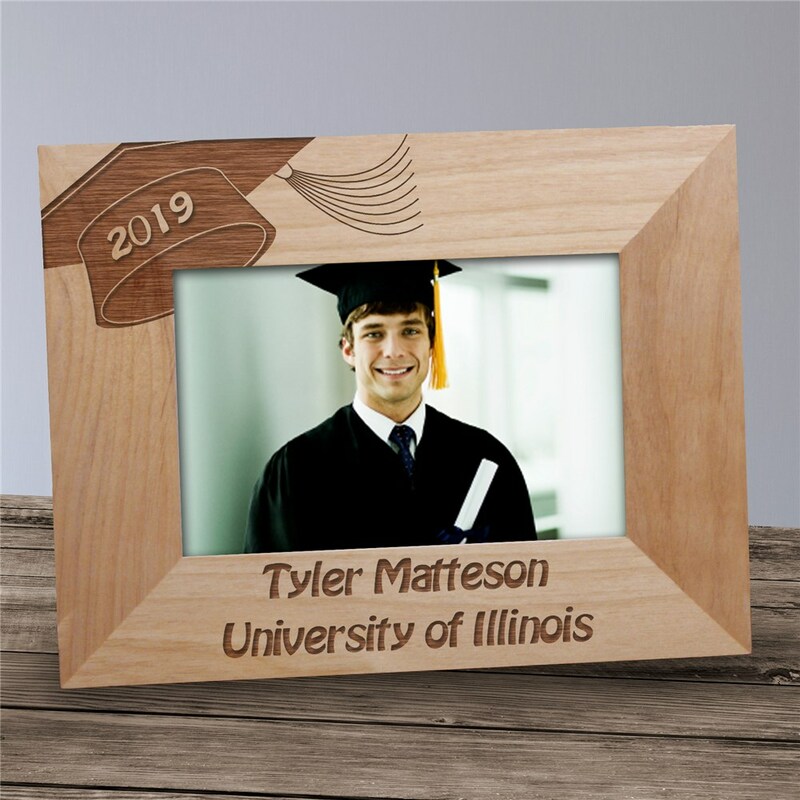 Personalize your Engraved Graduation Frame with the graduation year, the graduate's name and the graduating from school. Makes a great Class of 2019 Graduation Gift. Loved this! Only thing that caused me to give 4 stars was my nephew's first and last name were too long to engrave, so had to abbreviate...still ordered it but really wish some way to add more than 16 letters. Very nice and will make a wonderful gift. The frame quality a nice wood and the lettering makes it a personalized reminder of his graduation day!! GiftsForYouNow.com has many additional Personalized Graduation Gifts for your Graduate. We specialize in attractive Personalized High School Graduation Gifts, Personalized Graduation Keepsakes plus much more.